The 75,000 sq. ft. Appalachian Rural Wellness Initiative (ARWI) / Robert Stivers II Wellness Center was designed as a recreational, service, study and learning center. The center was named for state Senator Robert Stivers II, the Senate Republican leader who represents the area and helped secure millions in state funding. The Center offers a variety of wellness programs for all ages, including an aquatics program targeting area youth. The Center is anticipated to serve several thousand people annually throughout counties contiguous to Knox County, Kentucky. 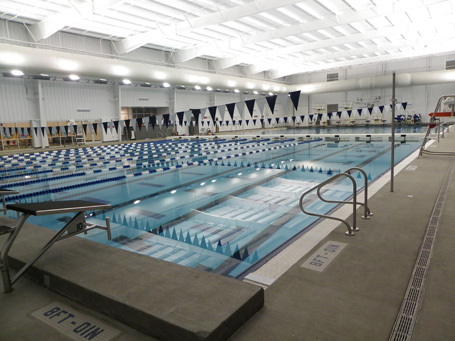 The aquatic center will be home to the Knox Central and Barbourville High Schools’ swim teams and the Piranhas USA Swimming club team; and were honored to host the first UC Winter Invitational in December 2011 and the 2012 Appalachian Swimming Conference Championships.